Won Hyung Joon discovered music at age seven and asked his parents for a violin. 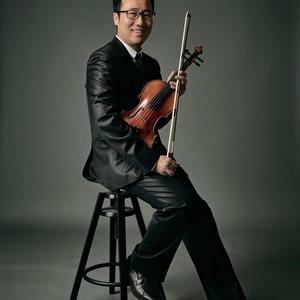 At 13, he moved to New York City by himself to study violin at Juilliard. He then relocated to Switzerland to study with world-renowned violinist Tibor Varga. He had several forced breaks from music due to the Korea IMF crisis, conscription into the Korean army and a severe shoulder injury. Each time, Hyung Joon came back with a vengeance! He has won numerous international competitions and has performed all over the world. In 2009, Hyung Joon founded Lindenbaum Music to return people to harmony from discord. 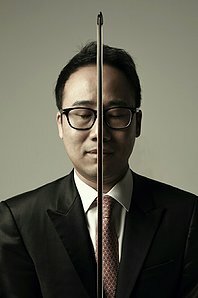 Since the inception, he has been facilitating dialogue between North and South Korea with help from embassies, country leaders, and influential musicians including conductor Charles Dutoit. His goal is to organize a concert with both North and South Korean musicians. This collaboration will feature a chorus from North Korea and the Lindenbaum Festival Orchestra from South Korea. They will perform Beethoven 9th Symphony on the Korean Demilitarized Zone (DMZ) near the 38th parallel.